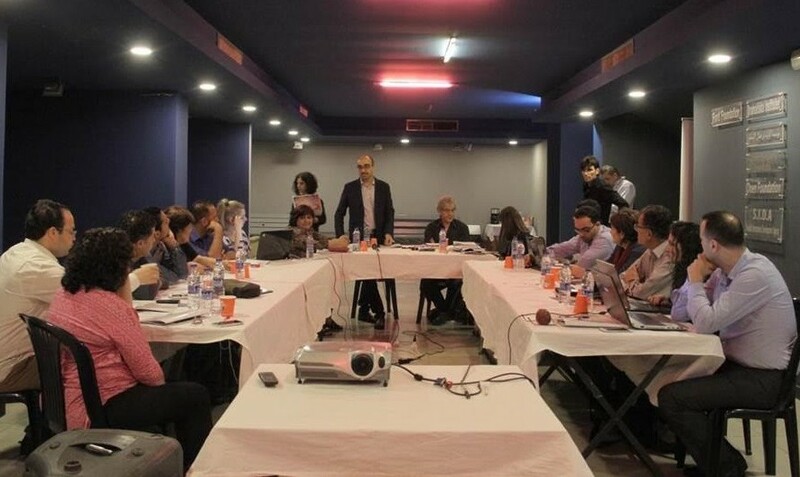 The first Mobility and Capacity Building Programme of SouthMed CV took place in Tunisia between 4 and 8 April 2016, and was attended by one sub-granted project from Algeria, five from Morocco and six from Tunisia. On the 18th April, the second Mobility and Capacity Building Programme will start in Beirut with representatives from six sub-granted projects from Palestine and one from Lebanon; lasting until 21st April. From Lebanon: ‘Moultaqa Leymoun – Arab Dance Platform / 5th Edition’. From Palestine: ‘Promote the abilities of young writers with disabilities (effective writers)’, ‘Go Pro’, ‘The preservation of cultural heritage from extinction’, ‘Youth for Environment’, ‘Interactive theatre as a tool for social change’ and ‘Children’s Voices heard through Art’. The exchange of experiences and peer assessments between representatives of the sub-granted projects organisations, will strengthen the mobility and networking in the Southern Mediterranean, beyond the framework of SouthMed CV. The representatives of each sub-granted project has the opportunity to introduce and present the main organisation, the partners and the implementation. The film director, curator, trainer and also director of SHAMS Abdo Nawar will attend the Encounter as an invited expert. He is at the initiative of Averroes meetings in Lebanon, and the Multaka Ibd Rushd, launched in 2012. Representatives of the SouthMed CV consortium: BAC Art Centre, Tunisia, Gudran, Egypt, Khayal Arts & Education, Lebanon, National Centre for Culture & Arts, Jordan, German Commission for Unesco, Germany, and Interarts, Spain will be attending the Programme and activities. In the morning of 21th of April there will be a public presentation of SouthMed CV’s 2nd Call for proposals at Sunflower Cultural Space.